My name is French but that’s kind of where the je ne sais quoi ends! My name actually means ‘Little Rock’ 😕. What was instore for this ‘Little Rock’ on my second visit to the Holy Land? First and foremost, you should read about my first visit to Israel. And read how I grew incredibly close to a bunch of amazing women this year, as shared in my last blog post. This year I had the opportunity to assist in organising the pilgrimage and to bring my Nan along on what would be a trip of her lifetime. 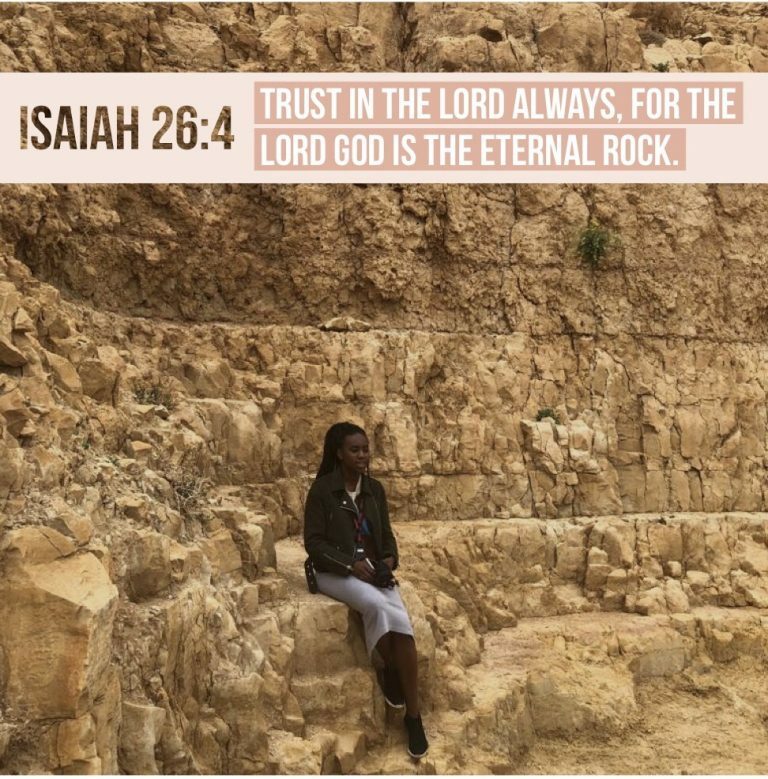 Exploring Israel together was a blessing, even when she was shuffling around in our hotel room at 5am 💆🏾‍♀️!! I got to see my Nan’s eyes light up at the view from the top of Mount Carmel and I witnessed her being baptised in the River Jordan. 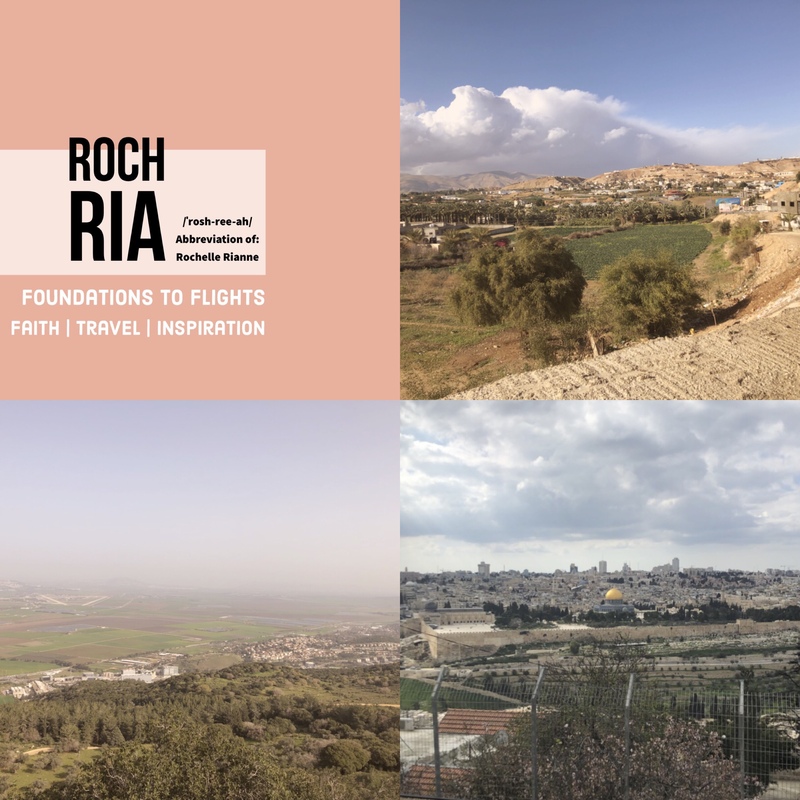 My favourite places and sites of 2018 – the history, the exploration, the connections to the bible – didn’t disappoint in 2019. But as a people person (I work in HR/L&D), over the first few days I was more concerned about how everyone else was finding the history; their own explorations & connections. Did it measure up to what they expected? How did it compare to my own experience the year before? As the first few days went by, I received a text from my friend and room buddy from the Israel trip the year before. I shared how I felt and she told me to keep journaling, to try sending myself voice notes and to take a moment to remember my own reasons for returning. It was another reminder that you can’t pour from an empty cup – you should give from your overflow. I’ve had the same thing repeated to me recently by a personal coach! So it was time for me to pay attention! There was a lot of walking, talking and exploring and our guides along the way (Mordi, Saline & Ramsey of Immanuel Tours) never failed to wow us with their knowledge and passion. We sang and danced on the Sea of Galilee. We made declarations, as Hannah did, at Shiloh. We broke bread at the Garden Tomb. These are among my favourite places. Places where I encountered joy, revelation, peace, overcoming. Places where I truly felt marked for favour. One thing I truly came to realise on this trip was how beautiful and vast the scenery was. And how much the landscape has been preserved or changed in different areas. I came back refreshed, despite my Pastor reiterating it was unlikely as it was a pilgrimage not a holiday! Driving over hills and down through the valleys, this ‘Little Rock’ had (& has) a lot to be gracious and grateful for on reflection from where I was a year ago. For that, I give thanks to my own Rock and Redeemer.